Since 2009, Las Adelitas has been the only Mexican restaurant for me in Prague. It was the only one I knew of that was owned and operated by Mexicans. Cantina, which I think of as Tex-Mex, has many fans, but it never thrilled me. 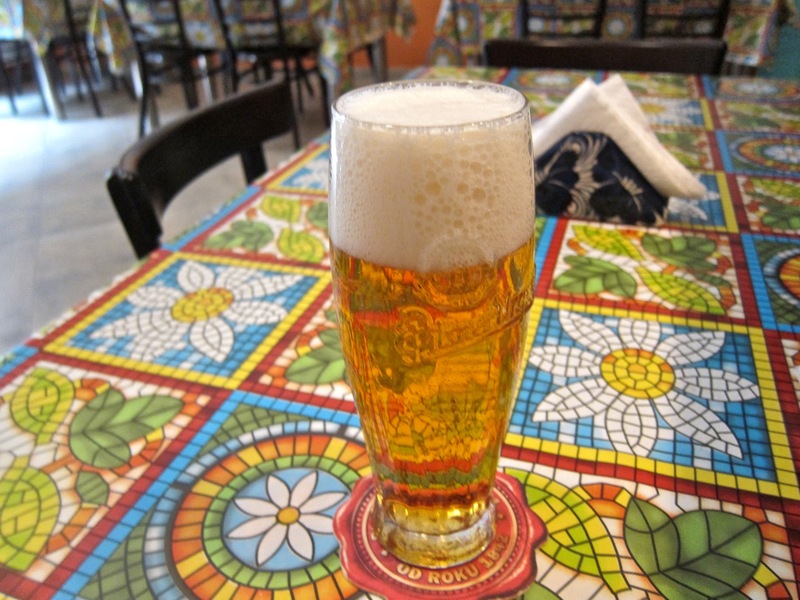 Now, just beneath the walls of Vyšehrad, there's a new Mexican-run joint in town. It is Tacos El Paisa, which bills itself as Prague's first taqueria. 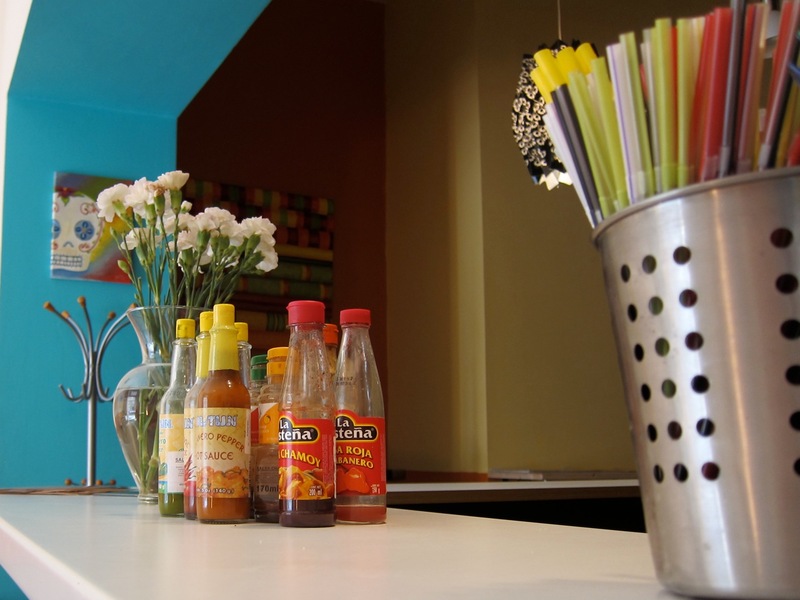 Las Adelitas has some tacos on their menu, but El Paisa is much more taco-centric. I spoke to one of the managers of El Paisa and he told me worked for a while with the guys at Las Adelitas. 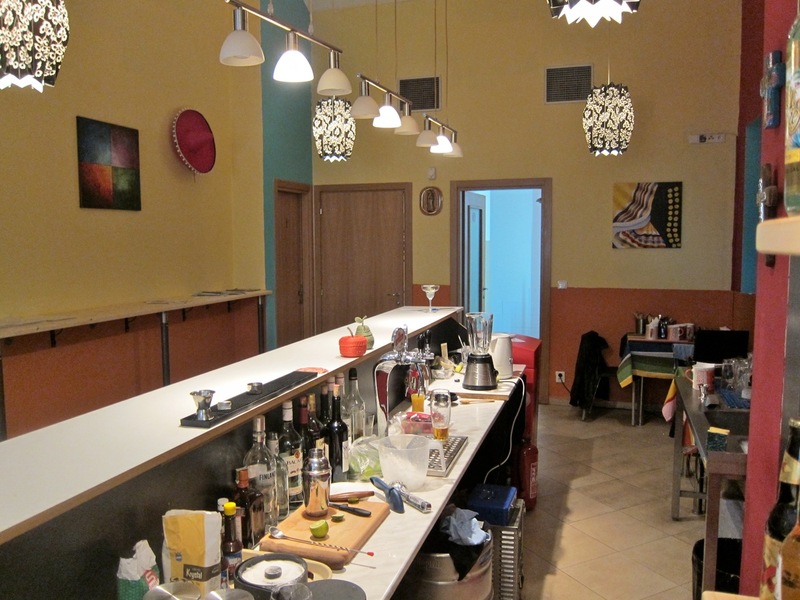 The new restaurant is just one room, about six tables and a few stools at the bar area. 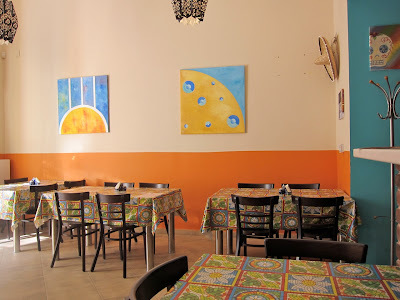 The walls are covered in bright pastel-like orange and blue. 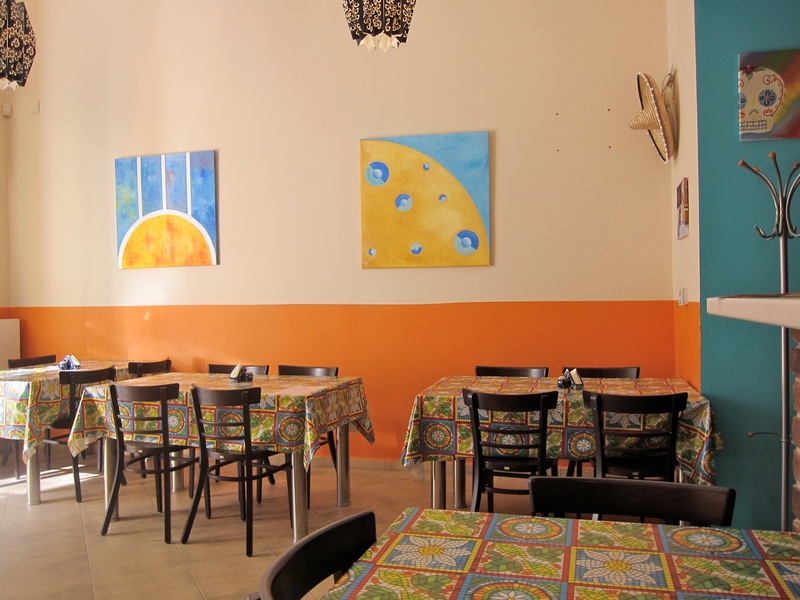 The dining room is small, but the high ceilings give it an airy, open feeling. On my first visit, I started with guacamole and chips (99 CZK). There were chunks of avocado, tomato, onion, cilantro (coriander), and lime juice. 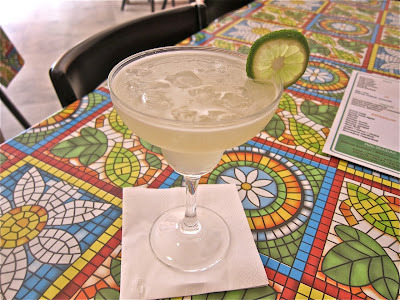 When I make it myself, I'm not shy with the salt or the lime juice. I like it to make its presence known on the chip. But theirs was just over the salty/sour line for me. The tortilla chips were heavily salted, too. 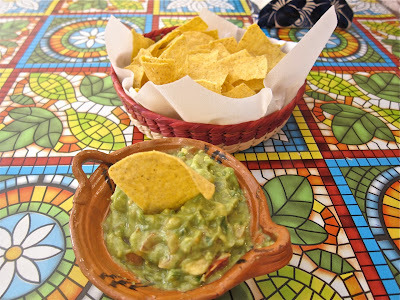 I had the guacamole again on another visit, and it was much better, so they need to work on consistency. To wash this down, I ordered up a classic margarita on the rocks with no salt (99 CZK). Excelente! 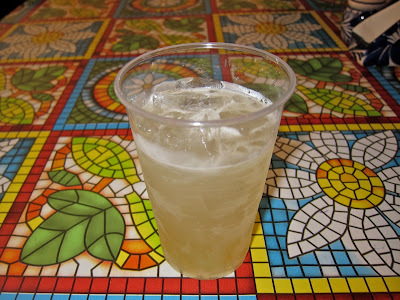 It was not too sweet and the tartness of the fresh-squeezed lime juice was just right. 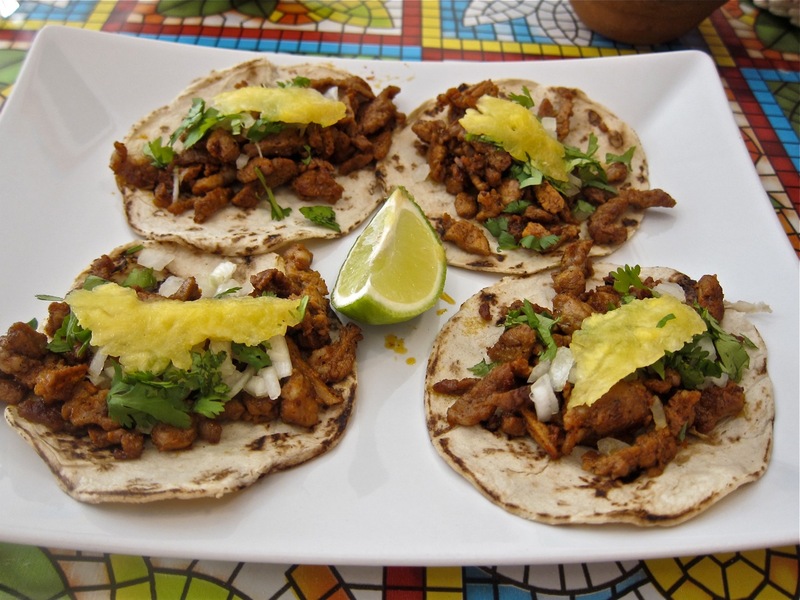 To go with that, I got the Tacos al Pastor (150 CZK). It is sliced pork in a chili sauce topped with onion, cilantro, and fresh pineapple.Their corn tortillas are really top notch, and the meat was tender and tasty. I only wished for more pineapple and another lime wedge. 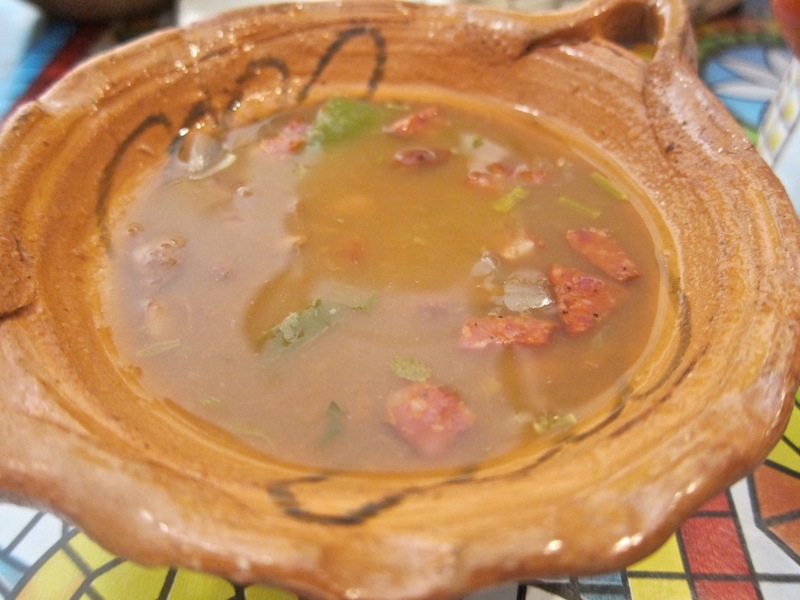 All tacos are served with frijoles charros, basically a bean soup with smoky chorizo mixed in. They also come with salsa. I asked for roja and verde, though these tacos didn't really need much augmentation. 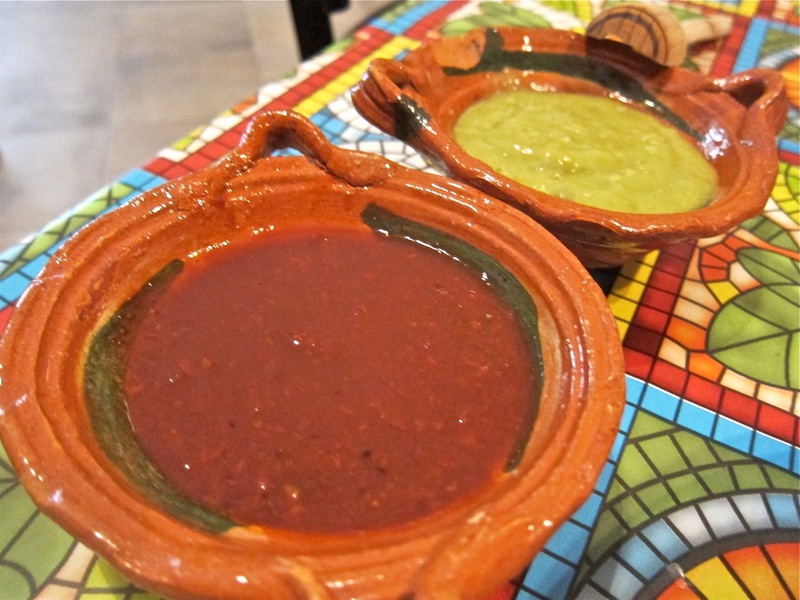 These are not the chunky salsas you may have experienced with bottled versions and are quite sharp. I went to Las Adelitas the same week to compare Al Pastors. They've had an issue for some time with their pork getting dried out. 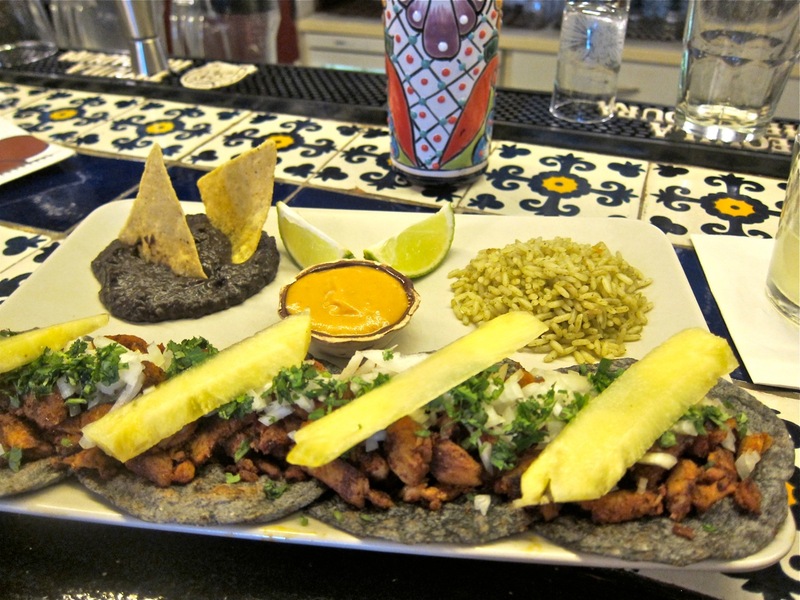 The blue corn tortillas are a nice touch and they've added a good chili sauce on the side. They were more generous with the meat, pineapple and lime, though the price is higher (179 CZK). I prefer their refried black beans and fantastic coriander rice as side dishes. Both versions of this taco have positives and negatives so I'll call this one a draw. 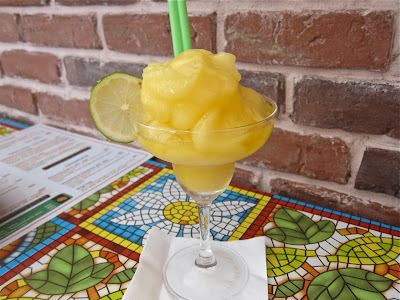 It's worth noting that after two margaritas on a beautiful late afternoon, I saw they make them to go. I imagined a plastic-topped cup with a straw, but hey, it worked. 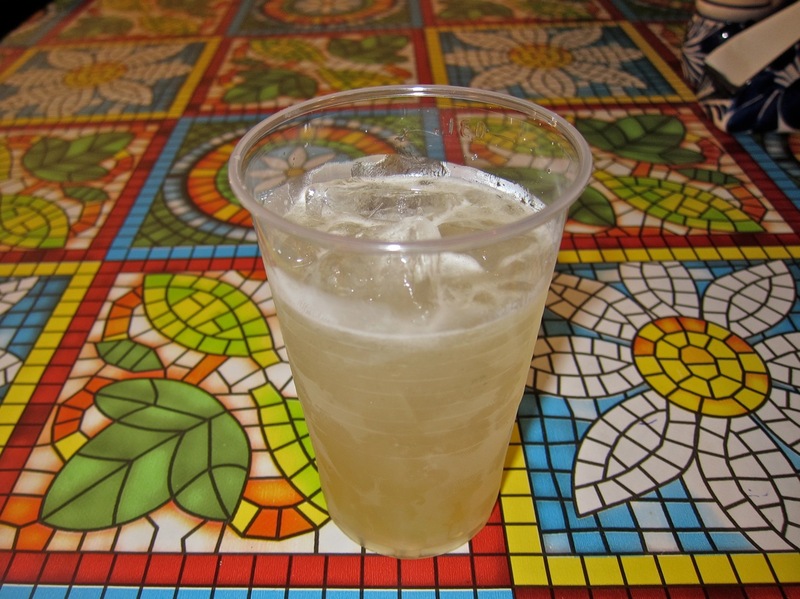 I had a refreshing beverage for the long, hot trip up to Letna beer garden that evening. 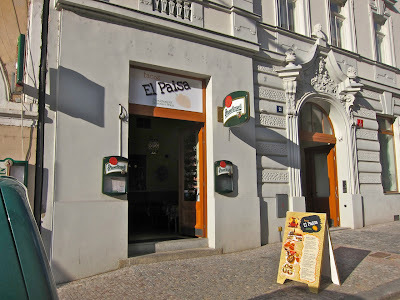 On my second visit, I went for the Nachos Paisa with chicken (179 CZK). 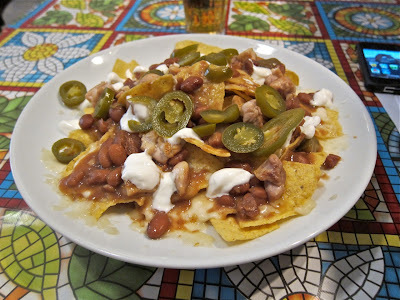 The tortilla chips were covered with beans, sour cream, melted cheese, and jalapenos. I found this plate disappointing. The chicken pieces were juicy and tender but bland. The beans were basic, and the cheese hardened and fused the chips together. I'm not a fan of the thick, salty chips they use. The question about whether nachos are authentic Mexican or Tex-Mex is for another time and place. These didn't work for me. To drink, I had a half-liter of Pilsner Urquell (35 CZK). I took my Italian companion on my third visit. She had the guacamole and liked it. 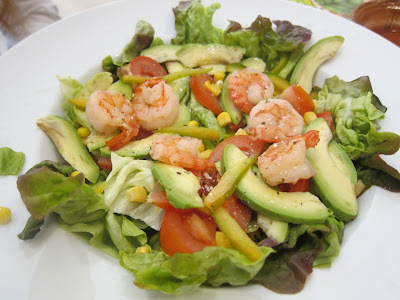 She started with the Ensalada El Paisa con camarones (160 CZK). This was lettuce, corn, tomato, avocado, and spring onion. The six small shrimp were properly cooked, and I liked the garlic-lime dressing. The avocado was not particularly ripe. Overall, we both found the salad dull and uninspired. Perhaps a bit of cilantro would have jazzed it up. I suggested we try a frozen mango margarita (99 CZK). This was a hit. It had the clear flavor of the fruit and just enough sweetness. I only wished for more of a tart note for balance. If you order one, all conversation will grind to a halt for a minute while they noisily turn the ice into slush. 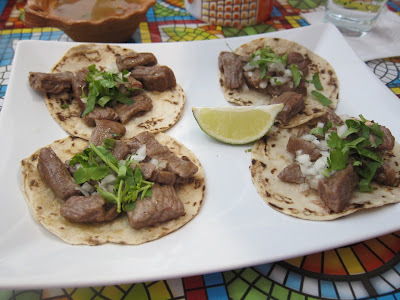 I got the Tacos de Arrachera (199 CZK). This is the taco with their top quality steak, the equivalent of rib eye. The beef was tender and delicious, with not much detectable seasoning beyond salt. It rested on their great corn tortillas, along with chopped onion and cilantro. There were the frijoles charros and red salsa roja on the side and that's all. If you want different flavors or heat levels, they have an array of bottles sauces to spice things up even more. I liked the fruity Salsa Chamoy. We could have stopped there, but decided to get one more round of food. 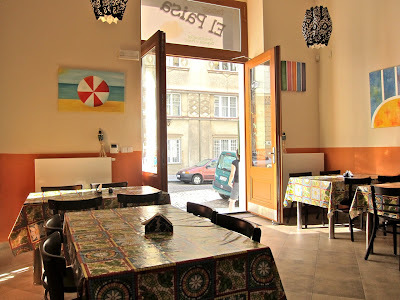 We went for the Tacos de Camaron (199 CZK). 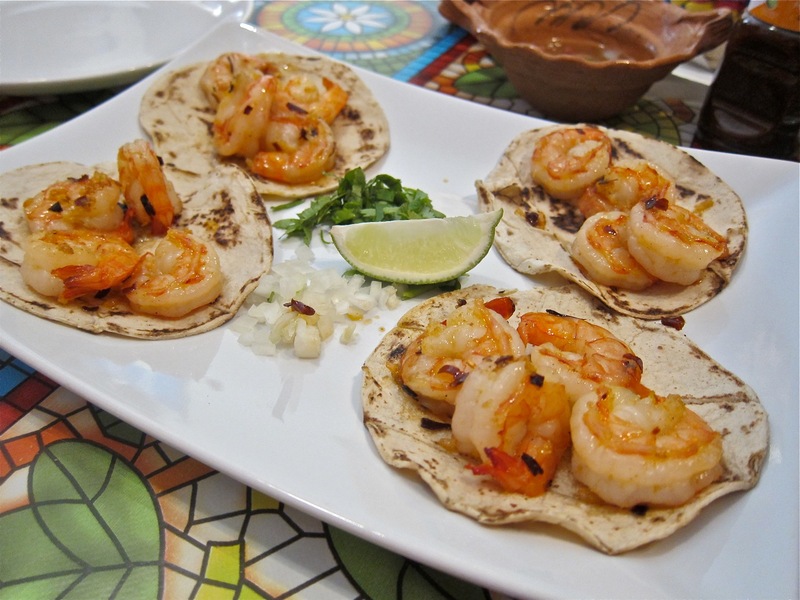 It's the same basic arrangement as the beef, but you get four shrimp per taco. Unfortunately, the little crustaceans were overcooked and tough. Service was friendly, with plenty of smiles. It's hard to judge the efficiency because the restaurant, which is non-smoking, was mostly empty when I was there. There was one point where I had to get up to get a server's attention. I didn't sample everything on the menu, but after three visits, I didn't feel there was much to pull me back on a regular basis unless I lived close by. Perhaps it is telling that I was more impressed with the flavor of the soft corn tortillas than that of the meats. I also wished for more variety on the menu. Tacos with just meat, onions, coriander and salsa are certainly authentic (though defining an authentic taco is like defining an authentic sandwich). But they may be too simple for some. Given a choice, this gringo is going to go for the more complex dishes on offer at Las Adelitas. 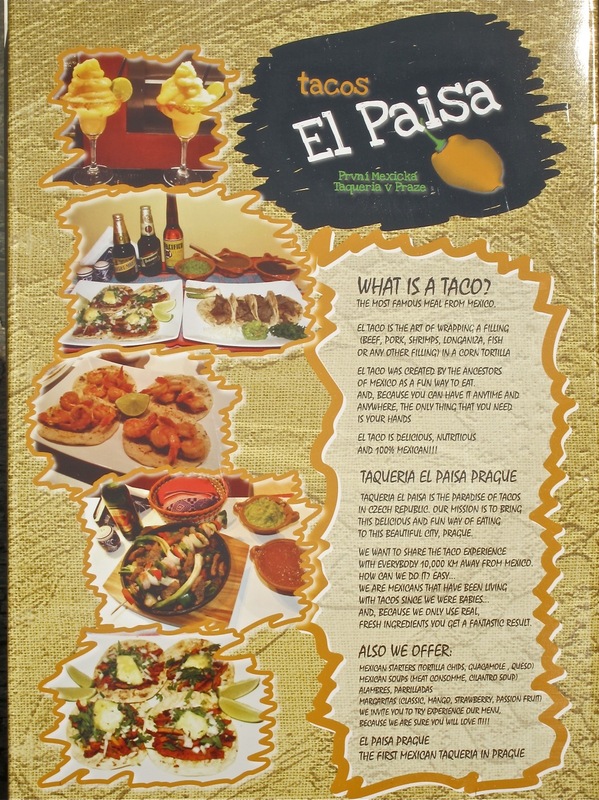 Though there are many similarities, perhaps it's not a fair to compare Tacos El Paisa with my favorite Mexican restaurant. One is a seasoned veteran and the other just started up. It may evolve, and I hope it does. But fairness does not enter into the equation when I decide where to eat. 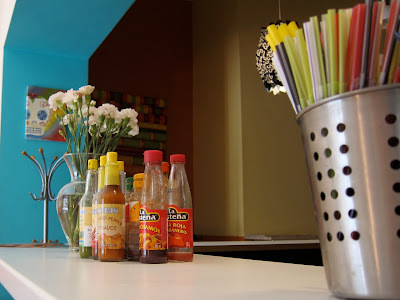 For me, Las Adelitas is still the big taco in this town.